Yesterday, something extremely cool happened. Evan was sitting at the desk in my home office. He grabbed a marker, and started doodling on the pad of paper that was sorta nearby. Coolest. Thing. Ever. 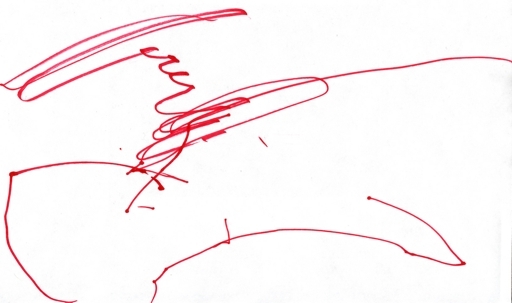 His first drawing. Now, he’s going nuts on his blackboard at home, and drawing all over his easel. We’re in the midst of reworking the Learning Commons website, and one of the changes is dropping to static files for most of the site (rather than the dynamically generated site we use now). One major thing we change by doing this is the software to search the site. I’ve just installed ht://Dig on commons, and it seems to work quite well. I had to compile from source, which I couldn’t do on commons itself for some reason (no dev. tools installed on MacOSX Server 10.3?) 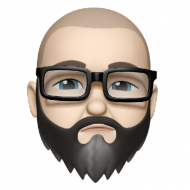 – I compiled on my TiBook and moved the binaries etc. to commons after testing that it worked. The package comes with a plain-vanilla test search page, which shows it works quite well. I’ve had to tell it to not index session-based pages generated by WebObjects applications (ignore urls with “wosid=” in them) so it doesn’t wind up with an infinite number of unique and invalid pages in the index. Anyway, ht://Dig seems to be used quite a bit Out There, and it seems to work quite well In Here. I’ve set up a crontask to re-index the server every morning at 3am. Doh. I just fired up iTunes, and my tunes were gone. The tracks are still all on my hard drive, but the playlists and songs in iTunes are missing in action. 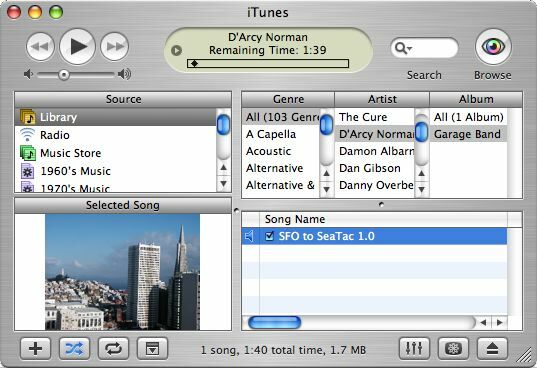 I’ve been using iTunes since before it was iTunes (I was a registered owner of SoundJam MP, which was purchased from Casady & Greene by Apple to become iTunes 1.0). This is the first time I’ve lost data in any of my SoundJam/iTunes libraries, in something like 8 years (roughly 8 major OS updates, over several computers). Re-added all of my tracks to iTunes (dragging the folders into the iTunes Library), and it sees the music again, but my carefully hand-entered and automatic metadata is gone. My Rating. Gone. Playlists. Gone. Play Count. Gone. Last Played. Gone. My “Pick the top rated songs that have been played a whole bunch in the last month, and give me a playlist that will fill an audio CD with them” playlist. Gone. Now, assuming I recreate all of my dynamic playlists, which used this metadata to do their magic, I still have to manually re-enter a whole bunch of metadata (especially Ratings) for them to be useful. Crap. I’ve never been a big fan of metadata – it needs to be hidden and under-the-hood for it to be effective. But, things sure get messed up when it’s yanked out from underneath you. Posted byD'Arcy Norman January 25, 2004 Posted inUncategorizedTags: itunes8 Comments on iTunes Metadata Lost! Garage Band isn’t great because of new technology, or ease of use, or interface design (perhaps in spite of wood grain…). It’s great because it gives me a chance/reason to break of the rut of being just a consumer of music. I can dabble on the creative side, even though I couldn’t play in instrument to save my life. It’s not exactly art, but that’s my first piece of music that I could actually put my name on. In iTunes. An extremely simple song, started on a flight from SFO to SeaTac, and finished in about 15 minutes this afternoon. Look at me! I’m a musician! Howdy howdy howdy! Here’s a link to the pics I took while in San Francisco for the January 2004 Pachyderm planning meeting. Some redundancy, but I decided not to remove shots. If anyone wants higher res. versions, I have the 1600×1200 source files.